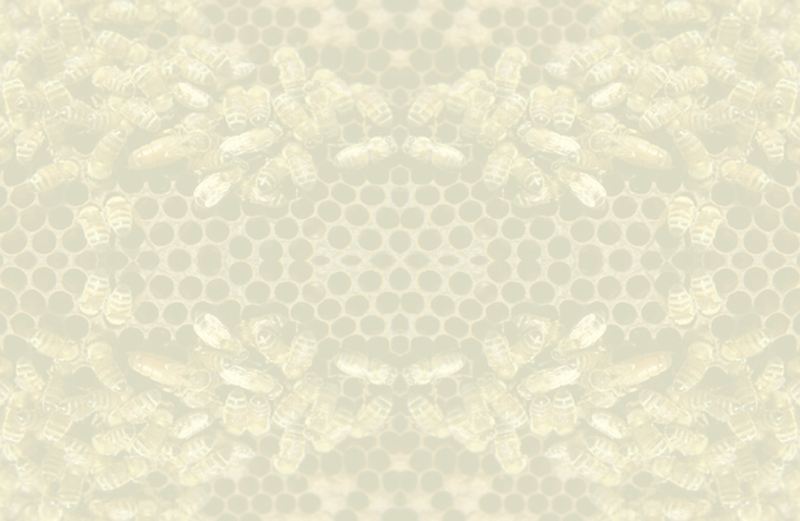 Pollinators require both nectar and pollen for their life cycles. 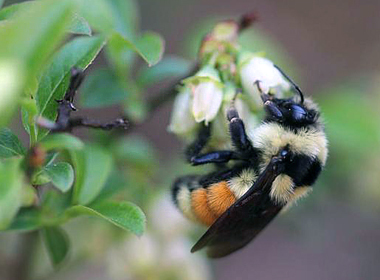 Planting trees, shrubs, and flowers that bloom at various times during the season will allow for a consistent food supply for bees and other pollinators. Visit a local plant nursery and select plants that are hardy for your zone. Some invasive plants are attractive to pollinators, but nurseries will carry a variety of natives and introduced garden varieties. transport, or sell in MN. Richard Old, XID Services, Inc.
Xerces Pollinator Conservation Seed Store: pre-mixed blends of some of the best pollen and nectar plants available. 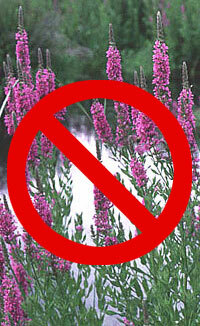 Local, source-identified seed that is not treated with pesticides is used wherever possible. Agrecol, Madison, WI: diverse selection of native wildflower and grass seed, as well as live native plants, to the Upper Midwest. Bluestem Farm, Baraboo, WI: nursery-propagated prairie, savanna, and woodland potted plants native to southern Wisconsin. Cardno JFNew, Walkerton, IN: plant materials and seeds of Midwest native grasses, wildflowers, trees and shrubs. Country Road Greenhouses, Inc., Rochelle, IL: prairie forb, grass and sedge transplants. Everwilde Farms, Inc., Bloomer, WI: wildflower seeds, including species native to the Midwest. Envirotech Nursery, Somerset, OH: wetland, sedge meadow, wet prairie and tallgrass prairie plants. Feder Prairie Seed, Blue Earth, MN: local ecotype south-central Minnesota native prairie forb and grass seeds. Heartland Restoration Services, Inc., Fort Wayne, IN: seed of Midwestern wildflowers, grasses and sedges, and will also contract grow native plant materials. Hoksey Native Seeds, Lynnville, IA: Iowa ecotype native grasses and wildflower seeds, as well as CRP or custom seed mixes. Ion Exchange Native Wildflower Seed and Nursery, Harpers Ferry, IA: native prairie wildflower and grass seed and plant materials to locations in the Midwest. J & J Transplant Aquatic Nursery Inc., Wild Rose, WI: plugs, seeds and bare root material of prairie and aquatic Midwest species. Landscape Alternatives, Inc., Shafer, MN: prairie flowers and grasses and Midwest woodland flowering plants. Minnesota Native Landscapes, Otsego, MN: native Minnesota plant community seed mixes, as well as trees and shrubs, and can custom grow requested native plants. Morning Sky Greenery, Morris, MN: plant materials of a wide range of native plants found in Minnesota and the Upper Midwest. Natural Shore Technologies, Inc., Maple Plain, MN: moisture-loving prairie plants as well as Minnesota native shore and wetland plant stock. Nodding Onion Gardens, Columbia Station, OH: native wildflower plants that are attractive to native pollinators as well as offering plants listed as endangered or threatened. North Creek Nurseries, lnc., Landenberg, PA: wholesale propagation nursery that sells New England native plants in plugs. Osenbaugh's Praire Seed Farms, Lucas, IA: prairie wildflower and grass seeds of Iowa ecotypes. Out Back Nursery, Inc., Hastings, MN: plant materials from Minnesota woodland, floodplain, savanna, wetland, shoreline, and prairie species. The Prairie Flower, Spencer, IA: northwest Iowa ecotype native prairie and wetland plants and seeds. Prairie Nursery, Westfield, WI: native wildflower and grass seed, seed mixes, and plants to the Midwest region. Prairie Moon Nursery, Winona, MN: high diversity of species native to the Upper Midwest for prairie, savanna, woodland and wetland, and sells seed and bare-root plants. Prairie Restorations, Inc., Princeton, MN: Minnesota ecotype seeds and plants of prairie, savanna, wetland, woodland and shoreline species. Shooting Star Native Seeds, Spring Grove, MN: local ecotype prairie and wetland seed, as well as seed mixes appropriate for the Upper Midwest. Spring Lake Restoration Nurseries, Prior Lake, MN: plants and seeds of ecotypes of east-central Minnesota and northwest Wisconsin. Stone Silo Prairie Gardens, De Pere, WI: native flowers and grasses, available online or by mail. Taylor Creek Restoration Nurseries, Brodhead, WI: native seeds and plants of prairie grasses and wildflowers, shrubs and trees of the Midwest. Woods' Edge Farm, Muscoda, WI: Wisconsin ecotype perennials and shrubs native to the woodlands and savannas of the upper Midwest.